There are plenty of benefits to carpet in your home or office. Carpet easily adds warmth and comfort to any home. It comes in a large array of colors and styles so it can fit in to any type of room. Unlike other surfaces, carpeting will add softness to the floors providing a safe place for small children to play and lends to reducing sound in the home. What is the best type of carpeting for my stairs? We hear this one often and the best answer is a dense cut pile. Many believe a loop will wear better but loop carpeting can sometimes open up at the edges of the steps. A tight looped carpet will perform better then a looser one and can work very well on stairs. Twist is the number of turns put in the carpet fiber or yarn. Almost all carpets have twisted yarns. The more twists the carpet has the better performance you can expect. Yarns that are twisted tighter have a different “feel” than those that are less tight. No. All carpets are made with spaces between the tufts (ends). Except for stairs, carpet is flat on the floor. You can feel the thickness or density of different carpets by sticking your fingers in the pile, but do it on a flat surface. How do get indention’s from heavy furniture out of my carpet? Let an ice cube melt in to the indentation and then try using the back of a spoon or other tool to carefully lift up the carpet, blot dry after about 12 hours. You may have to do this several times. If the ice cube method fails, another very effective way to restore your carpets is by using steam. What is the best way to get stains out of my carpet? That all depends on the stain, most stains need immediate attention. Never rub a stain, always blot. You can find several home remedies for stains on your carpets manufactures website. If all home remedies fail to lift the stain call a professional and get a hot water extraction. Why is carpet at the box stores sold by the square foot? This might just confuse you, and that’s what they are hoping for. Carpet is typically sold by the square yard; this is also how your carpet installer will tell you your measurements for ordering. When the box stores put a square foot price it sure seems low when trying to compare, but wait don’t forget to do the math! For every 9 square feet you have 1 square yard, so that low 5.99 sf price just became $53.91 sy. 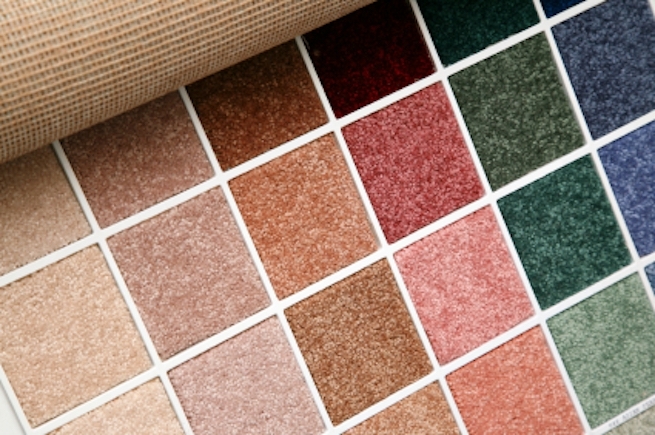 The types of materials carpet suppliers offer can affect the price, quality and ease of maintenance. Learn more about these fiber types here.